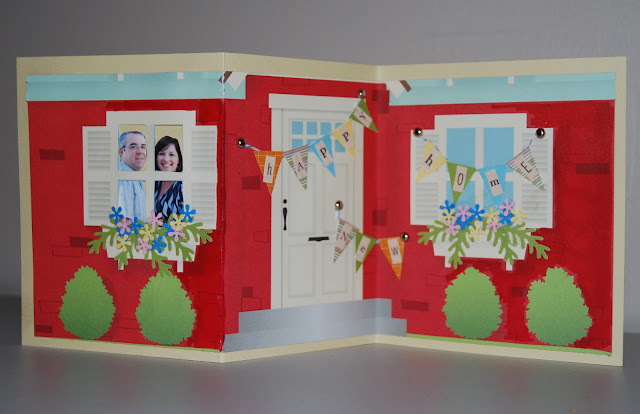 CardMonkey's Paper Jungle: Happy New Home, Alex! 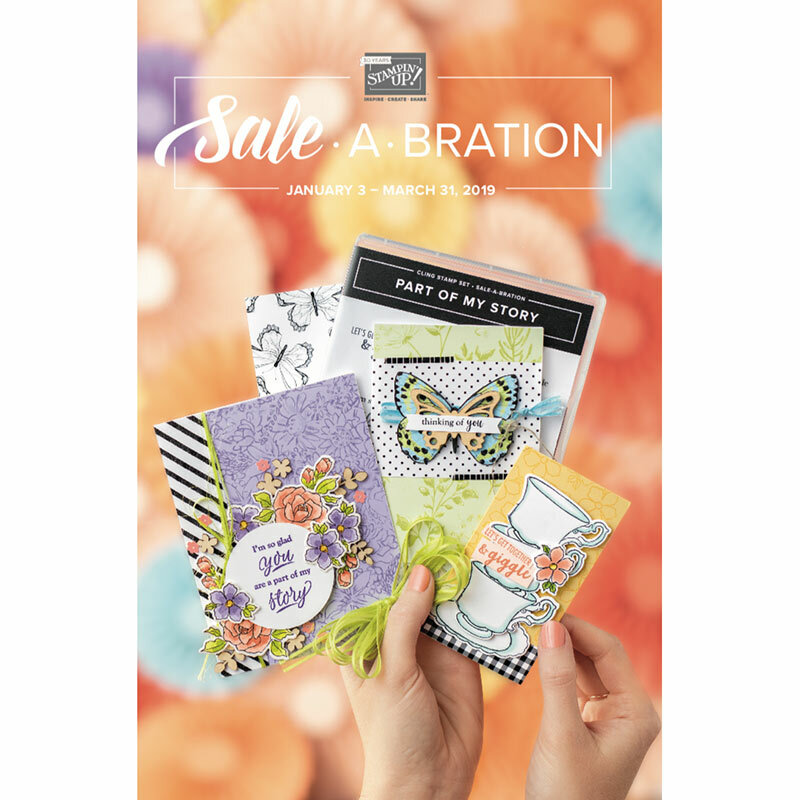 Hey, CardMonkey fans ... today it's my turn to be Guest Designer on one of the blogs that I truly enjoy reading -- Alex Conde's "You Had Me At Craft." Alex gave her guest designers the "open door" to do whatever we pleased, and it pleases me to tell you about how much I enjoy Alex. I happened across one of Alex's UStream video sessions and inserted my Monkeyness on her during the open chat -- that is, a free-ranging instant message session. I learned a lot and had a super-amount of fun, especially making Alex giggle! So for my guest stint, I decided to make Alex a card, to celebrate her Happy New Home. Here it is! 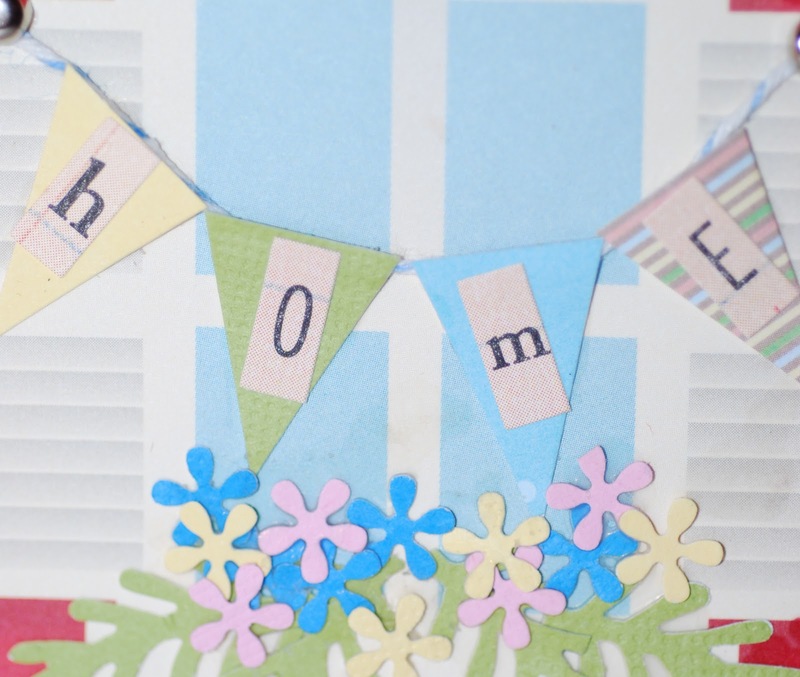 To make this card, I used October Afternoon's Modern Homemaker "Suppertime" shaped paper as the base. I embellished the window boxes with leaves and flowers punched with my Punch a Bunch punches. A free-hand cut the pennants from an assortment of paper scraps, and used Making Memories' tiny alphas "pink ledger" letters to spell out Happy New Home. Baker's twine threaded through the card serves as the pennant strings; I added brads just because it seemed to need them. 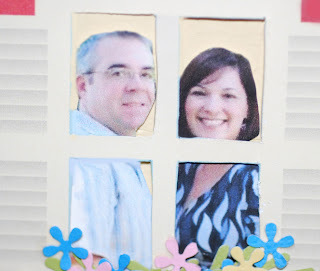 The most fun: I added fussy-cut pictures of Alex and her hubby Jamie to the front window. I lifted these off of Facebook and printed to fit. 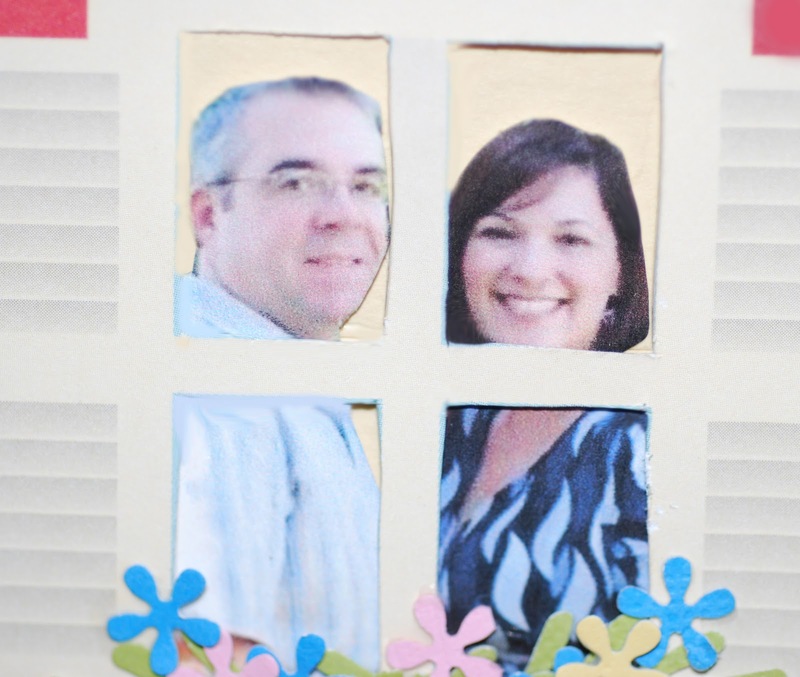 I ♥ making my cards super-personalized, and think this does it. Do you agree? 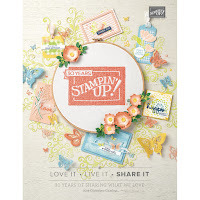 Hop on over to Alex's blog at http://www.youhadmeatcraft.com/ and leave some love! Ellen this card is so stinkin' cute! Love it! I love that they're peeking out the window! Lol! Too cute and too funny.